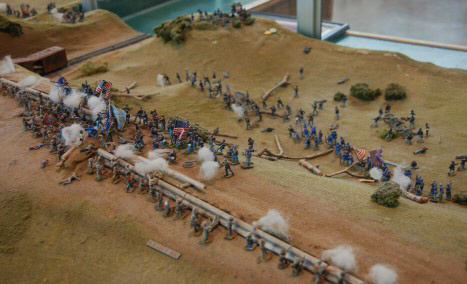 The FALL OF DIXIE diorama depicts the battle for Vicksburg. To fully understand the Siege of Vicksburg, you must grasp the terrain, the leaders, and their strategies, and the people who endured the horrendous 47-day Siege. 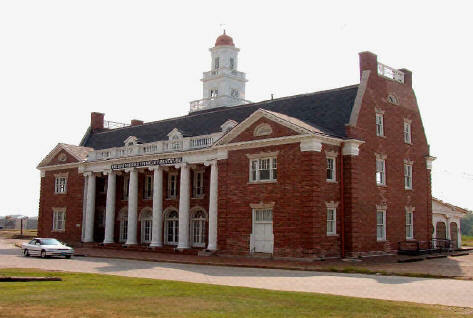 This museum features the only diorama of the Siege of Vicksburg, which provides a birds-eye view of the layout of the battlefield, manned by over 2000 miniature soldiers and is approximately 250 square feet. Expert docents will help you gain a better understanding of Vicksburg's battle on this narrated tour of the museum. After the demonstration, view the world's largest collection of War Between the States ship models and a collection of riverboat models and naval vessels with Mississippi names.